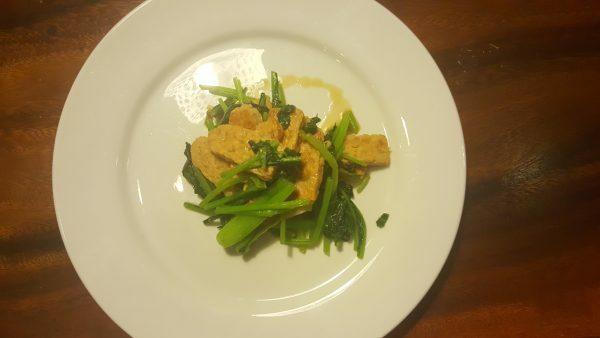 Tempeh, an Indonesian fermented soy product, is something new for me. I was asked to come up with some recipes using it for a friend. Great for vegetarians, vegans and healthy food lovers, it makes a nice change to tofu and really absorbs flavour. This simple recipe should give you a start. Add spinach and stir fry until well cooked.